Think of any high-end consumer durable like a camera, MP3 player, integrated mobile phone, plasma television, or even camcorders, and it is only natural that Samsung comes to mind. Samsung, the South Korean behemoth, was ranked the 6th most valuable global brand in 2017, with a brand value of USD 56.2 billion, by Interbrand, an international brand valuation ﬁrm, in its annual ranking of the world’s top 100 brands. Samsung has a diversiﬁed empire with interests in electronics, heavy industries, ﬁnancial services and trading. Envisioning itself as a global leader in most industries, Samsung booked record proﬁts of over USD 26 billion in 2016, on revenues of USD 180 billion. These achievements are outstanding testimonials to Samsung chairman Lee Kun-Hee’s vision of taking Samsung from a manufacturer of cheap versions of Japanese products to a global digital leader. With a business strategy spun around building a top-notch brand, the company invested billions to reposition itself as a respectable brand, with innovation, cutting-edge technology and world-class design as trademark characteristics. From being on the verge of bankruptcy during the 1997 Asian ﬁnancial crisis, Samsung has become a truly world-class business empire. Samsung started as Samsung General Stores in 1938 in the Northern Province of Kyungsang in South Korea. Till the early 1970s, it was involved in businesses ranging from commodities, wool, and insurance to fertilizer manufacturing and broadcasting. Samsung was better known for producing cheap copies of Japanese electronic goods. The current chairman Lee Kun-Hee laid the foundations for today’s Samsung when he took over management in 1993. His decla­ration of new management principles emphasized intellectual capital, organizational creativity, technological innovation and employee empowerment. Samsung Electronics is one such key business unit that produces world-class mobile handsets, wide-screen plasma television screens, digital camcorders and other household appli­ances. Established in 1969, it was generating an operating proﬁt of USD 27.2 billion by 2012. This has been the flagship division within the Samsung Group. Bloomberg Businessweek ranked Samsung Electronics first in the information technology global ranking in 2002. In 2003, Samsung Electronics was ranked 5th in Fortune magazine’s Most Admired Electronics Company list. With USD 216.7 billion sales revenues in 2013, Samsung Electronics is the world’s largest electronics company by revenue. Samsung’s success is largely based on its brand management processes. From its early days of repositioning the brand from a cheap manufacturer to a brand of class and quality, Samsung has had a consistent policy of basing all activities in line with its brand strategy. The company has set an example for the whole industry in brand stewardship, with the chairman himself constantly managing and nurturing the brand. From the beginning, Samsung had to ﬁght hard to change customers’ perceptions of it as a manufacturer of cheap electronic goods. Starting in 1993, Samsung has adopted an aggressive branding and advertising strategy. Samsung’s branding philosophy is built on ﬁve main pillars: innovation, cutting-edge technology, world-class designs, recruiting the world’s best talents, and internal branding. For the past ﬁve decades, Sony was the undisputed brand leader in the consumer electronics industry worldwide before a period of rapid decline, which it is yet to exit. When Samsung began its branding journey, one of its initial goals was to emulate Sony. Being a competitive industry, Samsung had to capture customers’ attention by inventing innovative products, as Sony did with its Walkman and the PlayStation when it launched in 1994. With standardized products and relatively short product life cycles in the consumer electronics industry, Samsung Electronics wanted to put its innovation into building new features, creating new appliance categories and usage. Samsung under­stood early that successful and profitable innovation had to be constantly backed by superior technology and the best designs. Samsung has invested heav­ily in R&D to churn out new technologies. In 2016, the EU Industrial R&D Investment Scoreboard ranked Samsung as the top technology spender and second highest global spender with USD 13 billion in R&D spends. In 2013, the company also announced an additional R&D spend of USD 4.5 billion with five new R&D centers in its home country. Today, the company has over 50,000 people working in R&D globally, spreading out across its 42 global research facilities, including R&D centers and design centers. The company is committed to invest at least 9% of its sales revenue into R&D activities. These figures exemplify Samsung’s total commitment to developing cutting-edge technology to ensure a competitive advantage (noting that it is competing with Apple in multiple categories). Another commitment to technology was that Samsung had the second highest number of patents in 2014 (4936) awarded by the United States Patent and Trademark Office (USPTO), a rank consistently maintained since 2006. IBM continues to top the number of patents awarded to it annually in the US. Samsung increasingly realized the need to be the best in product design. Backed by innovation and cutting-edge technology, the latest, trendiest and coolest designs have uniquely positioned Samsung in both the market and consumers’ minds. With cut-throat competition, the visual treat of Samsung’s products has been a marked differentiator from its rivals. Consecutively, Samsung started the Innovative Design Lab (IDS), an in-house academy to teach and study design. With Chairman Lee’s support, this served as the design laboratory for future Samsung product designs. Samsung also started comprehensive training courses for all its design employees to learn the latest trends in designing, along with courses on ergonomics and mechanical engineering. By looking at art, culture and sculpture of many countries, the design lab trained its design engineers to be the best. The IDS concept expanded into Samsung’s current global design centers. “Design 3.0 is a third-phase design strategy aimed at creating new and meaningful product-service experiential value and lifestyles for users, thereby going beyond exterior style and convenient use”. In short, Samsung’s design focus has now moved from a product-focused philosophy to a service-focused one. The emphasis and seriousness on design are characterized by the fact that the Corporate Design Center, which manages and coordinates the seven Global Design Centers in Seoul, Beijing, London, San Francisco, Sao Paulo, Tokyo and Delhi, reports directly to the CEO. For Samsung to lead in either cutting-edge technology or designs, it needed the best talent available. Acknowledging this, Samsung has been a leading recruiter from many top-tier global business schools. This was evident when Hak Soo, former COO and vice president of Samsung once said: “People are Samsung’s biggest challenge. We need to hire and train the best global talents because we are a global company, not just a Korean company”. Samsung has come a long way from a point when hiring talent used to be a challenge. By practicing the five-pillared brand strategy, Samsung has been successful in repositioning its brand globally. Samsung products like the Galaxy smartphone series and the Smart and Curved televisions are perceived to be technologically sophisticated and innovative. Though the repositioning strategy has been successful, it shifted focus away from creating a distinct identity. The company’s biggest competitor now is Apple, whose corporate and product brands enjoy strong emotional connection with its consumers, besides being innovative and technologically advanced. Samsung’s business and operating environment has changed significantly in Asia and globally. The company needs a holistic, structured and integrated brand philosophy, which can successfully link the corporate brand with the product brands in the brand portfolio through efficient brand architecture and brand portfolio strategy. Samsung must emphasize its emotional and intangible brand elements to build strong connections. Samsung has used all possible communication channels to convey its brand’s positioning and personality. Mass media advertising, public rela­tions, event sponsorship, sports sponsorships, product placements, the Samsung experience gallery and Samsung experience retail stores have been its major brand communication channels. The brand communication had two main objectives. Firstly, to reposi­tion Samsung as a premium, world-class brand offering quality, credibil­ity and design and, secondly, initially to be seen and accepted on a par with the likes of Sony and more recently to be the top consumer electronics brand globally. After Sony’s decline and Samsung’s aggressive entry in the premium smartphones category, Apple is now Samsung’s biggest competitor in the high growth categories of smartphones, tablets and smart wearables. With these two huge objectives and formidable competitors, Samsung has to use all possible channels to communicate its superior positioning. Samsung used its technological prowess with its design and innovation to gain industry attention. Products like the world’s ﬁrst wristwatch clamshell rotating camera phone, the largest plasma TV, the largest LCD display, the color wrist phone, the curved UHD TV, and the curved screen smartphone, all conveyed Samsung’s tech­nological leadership globally. After the entry into smartphones, its Galaxy phone series tried to push design boundaries and user experience. They also gave Samsung a lot of media coverage in international busi­ness magazines like Bloomberg Businessweek, Wall Street Journal, The Financial Times, Forbes, Fortune, Marketing Week to technology magazines and websites like CNET.com and others. These, along with numerous awards Samsung won for its design and use of technology to create better products, acted as credible third-party endorsements. Samsung wanted to take advantage of the technological breakthroughs of the 1990s, mainly digital convergence. With its leading technology in the fields of wireless communication, memory chips and plasma screens, Samsung wanted to position itself as a leader in digital convergence – making products which combined wireless commu­nication with photography, music and video. This philosophy has guided Samsung in all its communications for the past seven to eight years. The connectivity experience its Galaxy phones provide (in terms of content, apps, social media sharing), smart remotes in televisions and wifi, apps and touchscreen functionality in refrigerators are a continuation of its digital convergence philosophy. The year 1997 saw Samsung’s first global campaign: Challenge the Limits. It aimed to position Samsung as a lead­ing company aspiring to reach heights beyond mere technology. With the same aim, Samsung sponsored events such as the Olympics, winter games and extreme sports. Contrastingly, other global brands like Nike sponsored individual sports personalities. Samsung wanted to convey a team spirit, healthy competition and global convergence. The next major global campaign was in 1999 when Samsung initiated “DigitAll: Everyone’s Invited”. Through this campaign, Samsung reiterated its leading position in the digital convergence era. It wanted the world to see it as a company, which had the capabilities to provide the best digital products and experiences. In 2013, it launched the “Design Your Life” global campaign, designed to promote connectivity of its Galaxy series of smartphones, tablets and wearables. Samsung’s first serious, global push to enter the smartphone market and challenge Apple happened in 2009, when the Samsung i7500 was launched as the Samsung Galaxy. This was the beginning of the long series of Galaxy phones, which has recently challenged the Apple iPhone’s popularity. For its entire Galaxy range, Samsung has successfully utilized digital and traditional channels in the communication programs. In the 2012 US launch of the Galaxy SIII, it reportedly spent more than USD 300 million through using innovative media channels like 3D games in movie theatres, short 3D films, free content download from kiosks and posters combined with traditional channels. This has continued in subsequent Galaxy series launches. For Galaxy S4, it used innovative techniques like crowdsourcing, social media engagement, and content sharing in combination with TV ads to drive awareness. These campaigns signify Samsung’s desire to remain in the forefront of embracing new channels, mediums and platforms for communication and marketing. It has continually embraced and actually created groundbreaking interactive and immersive consumer experiences. It has also not downplayed the importance and the reach provided by traditional media channels, seen by its staggeringly high levels of advertising spends dedicated to TV, print, cinema and outdoors. Samsung has been using international electronics, games and technology events to showcase its product range and offer the Samsung experience. Events like the World Cyber Games (till closing in 2014), CeBIT, Comdex (till closing in 2004), IFA and the Consumer Electronics Show allowed Samsung to educate and entertain its core target customers – businesses and consumers. In the Consumer Electronics Show (CES) held in Las Vegas, Nevada in 2014, Samsung unveiled its curved TVs. CES 2014 attracted more than 155,000 visitors over 4 days. In 2013, it sponsored The Life is Beautiful Festival in Las Vegas, attended by more than 60,000 music fans. In 2014, it reportedly spent more than USD 20 million to run ads during the breaks in the live telecast of Academy Awards (Oscars). Besides getting mileage and exposure, it also generated massive amounts of exposure through the infamous “selfie”, which the host Ellen DeGeneres took with a host of leading Hollywood actors. In addition to TV advertising, Samsung integrated its Galaxy smartphones, by giving handsets to American Broadcasting Corporation (ABC) for use during the show, by running a clip of six aspiring filmmakers on Samsung devices. By chief sponsoring such events and integrating its products in the event, Samsung has consistently projected and bolstered its brand image. To become a global leader in consumer electronics, Samsung had to communicate globally. What better way to achieve this than sponsoring international sporting events? Samsung has been the chief sponsor of the 1988 Seoul Olympics, the 1990 Beijing Asian Championship, the 2000 Sydney Olympics, the 2002 Salt Lake Winter Games, the 2004 Athens Olympics and the 2012 London Olympics. In 2014, it announced a strategic extension of its Olympic sponsorship until 2020, making it a chief Olympic sponsor for the 2016 Rio De Janiero Olympics, the 2018 PyeongChang Winter Olympics and the 2020 Tokyo Olympics. By setting up a 1,064 square meter entertainment complex within the Olympic sports complex called An Olympic Rendezvous, Samsung attracted over 300,000 visitors to showcase its current product portfolio, offer the Samsung experience, but display its futuristic, pipeline products. Samsung’s affiliation with international sporting events has added positivity to its personality, with a competitive spirit competing on a global level with world-class competitors. Besides associating the Samsung brand with global sporting events like the Olympics, Samsung has increasingly sponsored niche and regional sporting events. In 2013, it signed a three-year deal worth USD 100 million with the National Basketball Association (NBA) to become the official handset, tablet and television provider. It is the principal shirt sponsor of football club Chelsea FC in the English Premier League in a deal worth USD 16 million annually. In February 2014, it became the title sponsor of the World Surfing Tour, comprising 21 events with the tour now being called “The 2014 Samsung Galaxy ASP World Championship Tour”. In October 2014 in the UK, Samsung signed a 3-year deal to become the official Consumer Electronics, Smartphones and Home Technology Partner to the Rugby Football Union (RFU). These sponsorships have increased Samsung’s awareness levels in prospec­tive sports-loving consumer groups worldwide. The North American market is important for Samsung. Being the most important playground for all major global players to prove their mettle, winning the markets’ and consumers’ minds in the US is crucial. This is particularly important as Samsung is competing against Apple, a leading iconic brand. With this intention, Samsung created the Samsung experience in New York City. It opened the 10,000 square feet gallery at the Time Warner Center in Manhattan in September 2003 full of its latest tech­nology. Until it closed in 2011 after the lease expired, Samsung operated it as a pure gallery – to offer customers an experience, not to sell products. Besides specific experiences created in major global cities, the chain of exclusive Samsung retail stores has been branded “Samsung Experience” stores worldwide, allowing consumers to browse and purchase the full range of Samsung products (smartphones, tablets, laptops, cameras and accessories). In 2013, it entered into an agreement to open Experience Stores inside 1400 Best Buy outlets across the US. In January 2014, it announced the opening of 60 Experience Stores across seven European countries (UK, Ireland, Germany, Spain, Portugal, Sweden and the Netherlands) in collaboration with electronics retailer Carphone Warehouse. The global expansion of Samsung’s stores is aimed at increasing high street visibility in competing effectively with Apple. With movies reaching a global audience, Samsung successfully managed to place its high-tech gadgets in the cult movie The Matrix, making excellent opportunity to gain the attention and curiosity of millions worldwide. With its emphasis on technology appealing especially to youngsters, teenagers, and young adults, the association with movies like The Matrix, when released in 1999, has helped Samsung convey its positioning strongly to a potential customer base. In 2012, Samsung signed a product placement deal with the popular reality TV series The X Factor, thereby placing its mobile phones and tablets in the judge’s house section of the series along with dedicated apps, online content and display advertising. With such dedicated and targeted brand communications, Samsung eventually overtook Sony as the world’s largest television brand. In September 2014, Sony announced a loss of USD 2.1 billion in the current fiscal year and layoffs of 1000 workers out of the 7100 employed in its smartphone division. Although Samsung has been doing all the right things, it will be a challenge to maintain consistency. Apple’s iPhone 7 and 7 Plus achieved record sales with the company selling more than 78 million units in the quarter after launch. Though initial sales figures of Samsung’s Galaxy S8 smartphone are encouraging with 20 million global sales in the quarter after launch, the model is not expected to exceed the total sales figures of the Apple iPhone 7 or 7 Plus. More recently, with the release of the Apple iPhone X on 3 November 2017, the queue outside Apple’s 5th Avenue New York store was the longest in 3 years. Despite the high retail base price of USD 999, the company is expecting a record global revenue of USD 84-87 billion during the first quarter of release. Contrastingly, Chinese manufacturers like Xiaomi and Huawei are gaining traction by launching cheap Android handsets at entry level. Google has also started collaborating with Indian manufacturers to roll out Android handsets that cost less than USD 100. As the market leader in semi-conductor chips and the largest global manufacturer of ﬂat display screens, Samsung has indeed come a long way from its humble beginnings of 1938. In 2012, it officially replaced Nokia as the world’s biggest mobile manufacturer by shipping 93.5 million handsets compared to Nokia’s 82.7 million handsets. But Samsung faces some tough challenges. A critical challenge is to become a truly, global iconic brand that resonates strongly with global consumers and stakeholders. The company needs to enhance its brand architecture, portfolio, identities, and work on strengthening the emotional elements. In its smartphone business, which has been the driver of overall handset sales, it faces a resurgent Apple with a hugely successful iPhone 7 and 7 Plus launch in 2016. Not only is the premium handset segment becoming more competitive, Samsung also faces increasing competition from Xiaomi, Huawei and Google at the lower end of the handset market. In 2014, Samsung announced a weaker-than-expected profit forecast, driven by a slowdown in mobile phone sales and intensified global competition from new and old competitors. For Samsung, ensuring a healthy and profitable growth of its mobile phone business is key. Additionally, it needs to build up brand equity in other product categories like tablets and accessories. Its recent push into smart wearable accessories (Samsung Gear) attempts to strengthen the brand beyond televisions and smartphones. Ensuring product quality: Product has always been and continues to be the buzzword for Samsung. With its recent Galaxy Note 7 global recall in September 2016, it was a huge product lesson to be learnt. The handset model faced battery quality issues causing fire incidents, leading to personal and property damages. This saga lasted over 3 months and caused a huge dent on Samsung’s reputation and product confidence. To reinstate consumer faith, Samsung re-launched the Note 7 as the Galaxy Note Fan Edition built with new, unused Note 7 components together with a smaller battery that had passed Samsung’s new battery testing standards. Additionally, in April 2017, it launched the new Samsung Galaxy S8 and S8 Plus. During the launch, its head of Marketing mentioned that safety is a huge focus area in the making of the product. The new Galaxy S8 features an ‘8 point Battery Safety Check’. Responding to changing consumer needs and the need for greater security features, the device also features an iris scanner and fingerprint authentication – this is very relevant to shoppers who use Samsung Pay, the brand’s new mobile payment service. Samsung has also just launched its Samsung Galaxy Note 8 in August 2017 and has seen record sales of 1 million units within South Korea, in just over a month. Moving forward, it is important for Samsung to identify and implement strict product standard protocols to ensure that the costly mistake does not reoccur. Maintaining consistency: Samsung has invested billions in global advertising and brand building activities. Given its presence in multiple industries and consistent investment in R&D, it will be difficult to sustain branding investments. But Samsung has not yet reached a position where the brand can live independently of its products as Sony did, even though it is now a bigger organization than Sony with stronger brands. It is important for Samsung to constantly build its corporate brand value, which does not have strong equity and suffers from a slightly confused image. In other words, current and prospective customers of Samsung lack a clear differentiated image about Samsung in their hearts and minds. This is in contrast to Apple, which enjoys strong emotional and functional bonding with its customers. Samsung’s image is driven strongly by its product brands while Apple is driven by its corporate brand. Spreading the corporate brand too thinly: Managing and building corporate brand equity is critical for Samsung. Even today, the Samsung name is found on literally everything from ships, memory chips, to mobile phones and camcorders. Although the company is leveraging its brand to build new businesses and gain considerable advantage in existing ones, this can prove dangerous. Samsung has been trying to position itself as a premium lifestyle brand worldwide, but many businesses in the portfolio do not match this positioning. Therefore, although it might appear an advantage, spreading the corporate brand too thinly across a wide array of busi­nesses might prove costly to Samsung in the long run. At one stage in its global expansion path, a decision on the corporate brand positioning needs to be taken. The five-pillared branding philosophy has been successful in giving Samsung a global edge, but key competitors like Apple still have stronger brand equity in the premium end of categories. Samsung’s challenge is to create and maintain a high level of premium, innovative and lifestyle-driven corporate brand image, and to clarify the roles of the product brands in the overall brand architecture. Apple has always been a lifestyle brand, an image carefully nurtured and developed over the years and supported by the genre defining experiences created by its flagship products. Local and international competition: Today Samsung is faced with never-seen-before competition in the consumer electronics industry. Asian mobile handset manufacturers are increasing the competitive threat to Samsung at the lower end of the market. These include Xiaomi, Coolpad, Oppo and OnePlus from China, Micromax and Karbonn from India, Smartfren, HiMax and Mito from Indonesia and I-Mobile from Thailand. In the premium smartphone, tablet and wearables segment, it continues to fight an intense battle with Apple. Apple’s launch of the Apple Watch, has taken a direct fight in the smart wearables segment to Samsung. Though it has overtaken Sony, it still needs to deal with a signiﬁcant threat from South Korea’s LG Group and potential competitors from China and Taiwan. Although Samsung has a comfortable lead-time due to its top-notch technology and constant innovation, this should not lead to complacency. Samsung should continue investing in technology and design capabilities, and marketing and brand management activi­ties to maintain lead over its rivals that it has so tirelessly built over the past decade. In 2013, LG Group announced that it would spend USD 57 billion on R&D to take on rivals. A large part of the R&D spending will be focused on smartphone software, HD and smart TV and next generation flexible and transparent displays. Managing the Samsung brand architecture: Even though the latest trend is to nurture a strong corporate brand, as Unilever and P&G have been doing, Samsung lacks the necessary similarity between its various business units. Therefore, Samsung should develop a strong brand architecture framework, which will deﬁne and monitor the interaction of various brands within the Samsung portfolio under the corporate brand. This is easier said than done, given the extremely diversiﬁed business units of the chaebols (Korean business conglomerate). The brand architecture will also guide Samsung in creating new brands as well as acquiring brands to enter the value segments of different markets, as LG has done with the Zenith brand in the US to target solely the value segment. Presently, Samsung lacks value in brand offering in all product categories. This creates pressure for Samsung to manage its brand portfolio across a wide price range. 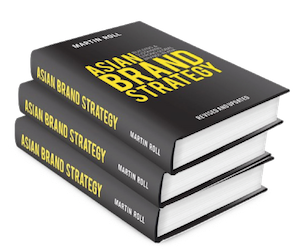 An example of this brand architecture challenge is the company’s situation in India. According to analysts and company insiders, Samsung is struggling in India on two fronts – challenged by low cost brands like Karbonn and Micromax in the low and mid-end smartphones segment and competing with Apple at the high end. Without a strong portfolio strategy driven by clear brand architecture, the company is fighting a battle to retain market share in multiple price segments, while Apple can simply focus its effort in the premium segment it operates in. With the millions of dollars that Samsung has spent over the past decade to build the brand, it will be a major challenge to put in place a strong architec­ture system, which will help in implementing successful branding practices. The conflict between Samsung’s futuristic push towards premium products and to become a lifestyle and experience brand and its value offerings, needs to be resolved as part of a broader organizational strategy. Creating the Samsung personality and emotional connections: Most great brands are those that have strong personalities, with Apple iPhone and iPad being the latest proof. But Samsung seems to have ignored this crucial aspect in building its brand. Although Samsung has been doing all the right things in its communications, it has not focused on creating a strong personality for its brand. It does not own anything specific in the consumers’ minds, like a Harley-Davidson standing for the rugged inde­pendence of western America or a BMW standing for the ultimate driving experience. As has been well recorded in the branding literature, a success­ful brand not only provides the customers with functional beneﬁts, but also emotional and self-expressive beneﬁts. So far, Samsung has emphasized the functional beneﬁts of leading-edge technology, contemporary designs and exciting features, but at a product level. It needs to go beyond this and create a cult following for its brands, like the Apple iPhone has done. Samsung needs to ensure that its brand can live on independently of its products. As highlighted in the previous point, the Samsung corporate brand needs to be defined and built around a set of strong differentiators including more emotional aspects of all the brands in the portfolio. This is and will continue to prove to be a major challenge. Nonetheless, Samsung has indeed come a long way in becoming the huge global technology behemoth that it is today. If it is able to apply the above brand strategies to its business, there will be no doubt in its potential to take over Apple as the world’s biggest technology brand, maker and distributor. It is up the owners and C-suite to take bold and daring decisions to make it happen.